This is a 1981 ad for a JVC VHS Video Cassettes! The size of the ad is approximately 8.5x11inches. 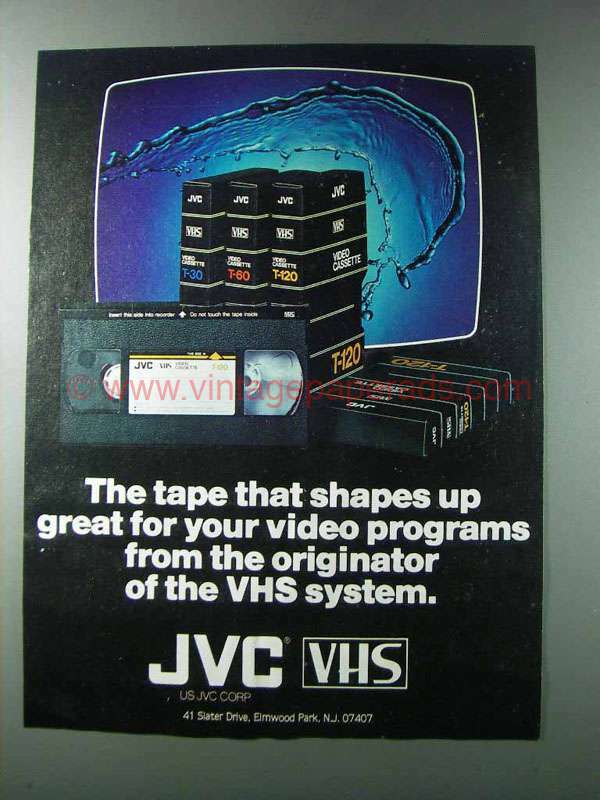 The caption for this ad is 'The tape that shapes up great for your video programs from the originator of the VHS system' The ad is in good overall condition, with some wear / wrinkling. This vintage ad would look great framed and displayed! Add it to your collecction today!